From providing scholarships to University of Nebraska at Omaha for young aspiring professionals to serving on the board for the Cystic Fibrosis Foundation and the Leukemia & Lymphoma Society, you will always find members of the Harrison Financial Services team seeking out new ways to positively impact their community. Below is a list of a few of our favorite ways we give back. The Salvation Army of Omaha serves the greater Omaha metropolitan area through its multiple worship centers and service locations. From feeding programs and homelessness prevention to mental health and older adult services, we meet the physical, emotional and spiritual needs of all people without discrimination. In the past, he Harrison Financial Services team, along with Northwestern Mutual of Nebraska, has been a sponsor of the Salvation Army's Red Kettle Ru. Currently, Tim and Traci are chairs of the William Booth Society which was established to recognize and honor individuals, foundations and corporations who make an annual gift of $5,000 or more to support Army programs and services in The Metropolitan Division. Those in The William Booth Society exemplify philanthropic leadership and outstanding commitment. Since its inception in 1908, the University of Nebraska Omaha has been firmly anchored in the community, forging partnerships with business, education, government, arts and civic organizations. UNO has long set the pace for accessible higher education in Nebraska and continues to offer an academically rigorous experience to a diverse student body. Tim is part of the Chancellor's Club, has served on the Advisory Board, and been honored as a Distinguished Alumni. For more than 10 years, Tim & Traci have awarded annually, a full ride scholarship, to a junior or senior studying investment science, finance and/or accounting. Recipients are selected based on financial need and academic achievement, and preference is given to students who work at least 20 hours a week. For over 90 years, the United Way of the Midlands and their donors have made lasting changes in the lives of individuals and families in the Omaha metropolitan area. Tim is a current member of the Tocqueville Society. The mission of The Leukemia & Lymphoma Society (LLS) is: Cure leukemia, lymphoma, Hodgkin's disease and myeloma, and improve the quality of life of patients and their families. For the HFS team, this organization is so important to us as many near and dear to us have been affected by this horrible disease. Jack currently sits on the board of LLS and the entire team rallies around the mission. Annually, the team participates in the Light the Night Walk and Man & Woman of the Year campaign. In 2018, HFS hosted a casino night event that raised over $15,000 for the organization. 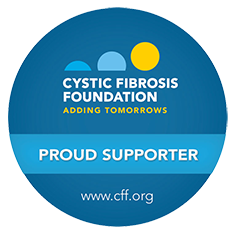 The Cystic Fibrosis Foundation is a nonprofit donor-supported organization dedicated to attacking cystic fibrosis from every angle. Their focus is to support the development of new drugs to fight the disease, improve the quality of life for those with CF, and ultimately to find a cure. Seth currently sits on the board of the Omaha chapter and takes part in the annual Breath of Hope event as a committee member. Each year the event has raised in excess of $100,000 to support the mission of the Cystic Fibrosis Foundation.